When I found out that Pantone named Radiant Orchid as the color for this year, I have to admit I was initially unsure about it. Violet (including its other shades) has always been a difficult color for me to wear because I feel like it doesn't flatter my skin tone. But since it's the New Year, I thought I'd take this as a fashion challenge and think of ways to incorporate this color into my daily wardrobe. 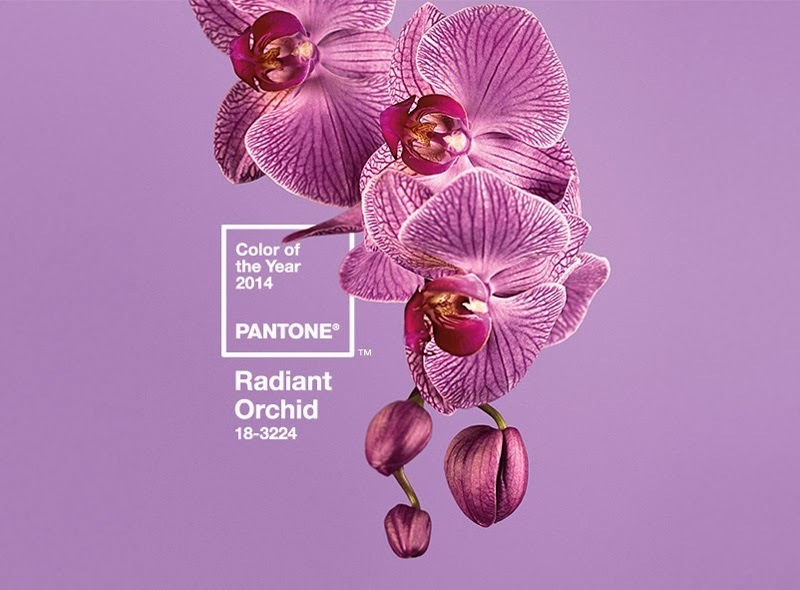 If you want to give this purple hue a try, here are tips on how to wear Pantone's 2014 Color of the Year: Radiant Orchid. According to Leatrice Eiseman, Executive Director of the Pantone Color Institute, "Radiant Orchid blooms with confidence and magical warmth that intrigues the eye and sparks the imagination. It is an expressive, creative and embracing purple—one that draws you in with its beguiling charm. A captivating harmony of fuchsia, purple and pink undertones, Radiant Orchid emanates great joy, love and health." Accessories: If you're not comfortable wearing such a bold color, you can always inject purple accents into your look. A clutch bag or a pair of heels in this gorgeous orchid hue can instantly add character to an otherwise plain outfit. 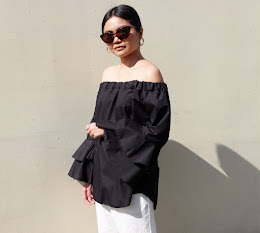 These statement accessories are also the perfect accompaniment to a classic all-black ensemble. Bottoms: Mix and match your radiant orchid skirts or bottoms with neutral colors such as beige, black, white and gray. You can try a monochromatic look by wearing a darker violet on top. Just be sure to break up the monotony with a slim leopard belt or a plain black one. Don't be afraid to wear a printed blouse with this color. A purple skirt paired with a striped sweater or a checked button down will look amazing. Dresses: If you're on the look out for prom dresses or are still undecided about the color of the gowns for your bridal entourage, this delicate violet is a wonderful option. Metallic accessories such as silver and gold complement this regal hue well. Tops: For a playful look, opt for color blocking and pair your radiant orchid blouse with other jewel tones. You can try wearing it with a sapphire jacket, a teal pencil skirt or turquoise shorts. Beauty: If you want to experiment and try new make-up looks this year, a radiant orchid eye color is a great alternative to the usual black or brown shadows. 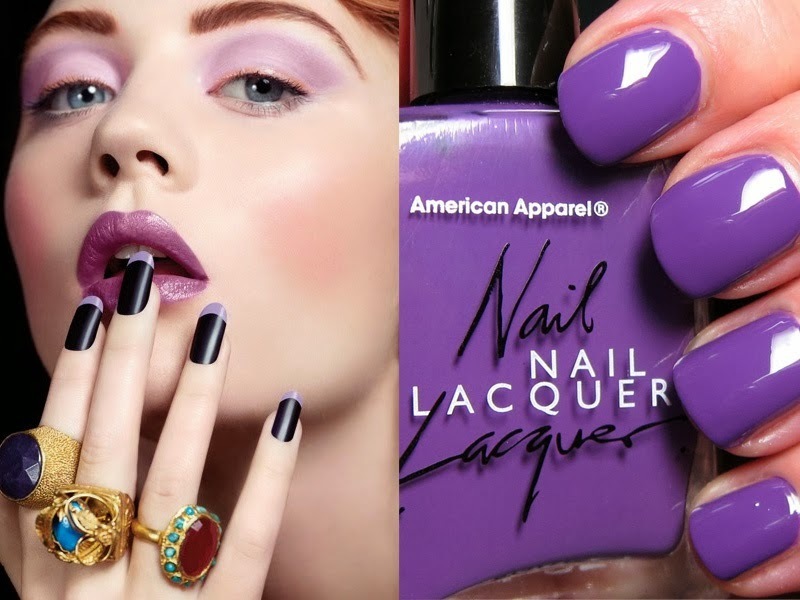 Sporting a bold purple lip and nail lacquer are perfect especially for Spring and Summer.